WINNER - ZMR Music Award - "Best Electronic Album of the Year"
The dramatic final chapter of the award-winning three-album series by celebrated ambient-electronic artists David Helpling and Jon Jenkins, “Found” follows the path set by the duo’s genre-defying releases Treasure and The Crossing. Blending cinematic electronics with rock power and spacemusic sensibilities, this release showcases the duo’s unmistakeable sound, highlighted by thundering drums and percussion, shimmering electric guitars, intimate pianos wrapped in lush synth textures, and a poignant guest vocal by virtuoso Miriam Stockley. Filled with powerful rushes of adrenaline, beauty, loss and triumph, “Found” discovers uncharted territory in the expanding world of electronic music. "This truly is contemporary instrumental music at its best. Expertly crafted, deeply moving, absolutely memorable." Through two previous collaborative efforts, David Helpling and Jon Jenkins have developed a distinct signature sound. Robust, romantic, and cinematic, it is almost instantly recognizable and utterly captivating. This third entry and the final chapter in this sonic trilogy, Found, carries all the hallmarks of the first two and brings the series to a superb close. Found courses forward on big, potent drumbeats, soaring guitar and lush piano, with everything supported from below by soft pads, long chords, and understated electronic textures. Pieces tend to begin quietly, build to a full-on orchestral climax with an emotionally powerful density of sound, then recede, fading, to let you catch your breath. This is music to listen to closely; Helpling and Jenkins have always brought a cinematic quality to their work, so it’s vital to dig into the sound to understand how it’s structured and how it’s affecting you so deeply. While you’re busy building panoramic tracking shots in your mind, your mental camera sweeping low across the plains or winging between rugged, snow-frosted mountains (trust me, you’ll go there even with my saying so), you’re also taking in the gorgeous harmony of elements, the interplay of rhythms and textures. This truly is contemporary instrumental music at its best. Expertly crafted, deeply moving, absolutely memorable. It’s almost sad to say that Found marks the (at the moment) end of the collaboration between these two marvelous artists, but at the very least it gives us a reason to go back to Treasure and The Crossing and start all over again. Found was recently named Zone Music Reporter’s Best Electronic Album of 2013, an honor that is well deserved. Take a listen, and from the very first moments you will understand why. "an epic project of astounding music"
Found is a lush album of instrumental beauty that is not easy to categorise: there are smooth ambient elements; deep spacey expanses; tribal rhythms and heaving drums; moving themes that both uplift and defy gravity. The album exudes tranquillity and restful bliss – plenty of drifting, dreamy passages brimming with reverb and an overall vibe of enigmatic reverie. However, this is not simple relaxation music (although Found is ideal for that purpose) there is much here to engross and awe the listener and draw us into worlds of wonder and imagination. The title track features a delightfully underplayed wordless vocal from Miriam Stockley, her voice hanging far into the mix, entwined amid the synths like layers of fog and atmospheric haze. Electric guitars and synthesisers form most of the lustrous textures on Found, light piano touches adding an extra twinkle to some of the melodies. The packaging of Found is as attractive as the music: a three panel card wallet of saturated colour and inspirational imagery. The front cover image depicts a rock mass rising from a flat plain backlit by an amber-umber sky that fades through purple to indigo above. The crag appears as a destination with the title sitting immediately below whilst a white streak in the sky suggests a greater picture. The rear cover drops the camera down into the grass of the plain, the last rays of sunlight painting the arcing blades in shades of copper and rust. Track titles are here with the time of each piece to the side. The third outer panel moves in closer to the enigmatic crag – now shrouded in mists and crepuscular blues; this same shot is repeated within as the centre of a three panel panorama. Credits, recording details and thanks are neatly tucked into the shadows of the rightmost inner section. A website address is here too. 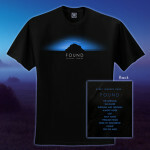 Found is released as the final chapter of a three-album series; Treasure and The Crossing having previously charted the course that has taken six years to unfold. David Helpling and Jon Jenkins rightly remain with Spotted Peccary who delivered the other releases in the series and you can explore the music via the label’s website where there is also a Soundcloud link and further review links. The recordings on Found are of mid-length, ranging from the opening and concluding pieces both at five minutes thirty one seconds to the delicate, beatless Only Ashes at thirteen eleven. Promotional material talks of “the deep, three-dimensional quality to the recording” and music on a “grand scale … filled with powerful rushes of adrenaline, beauty, loss and triumph – true words. A really fitting conclusion to an epic project of astounding music. "an intense, outstanding and expertly crafted ambient-electronic recording"
This is such a recording causing a rush of excitement already at first glance, although being the final episode of the duo’s trilogy. "Found" is a 70+ minute emotive work of ambient music featuring both grand and intimate atmospheres along compelling rhythm sections, all propelling the listener straight to imaginative, higher spheres. While Mr Helpling sticks close to classic Patrick O’Hearn-like sound, Jon Jenkins excels in adding his own distinct array of sonic marvels which also don’t disappoint the least. Lots of mournful, melancholic guitar and lush synth work is scattered over the strong sonic narrative, counterpointed by massive drums and tribal percussion. I simply can’t imagine one isn’t touched by the intrinsic, heart-warming beauty of "Only Ashes" and "Through Tears". As soon as we move near the end of the album, the feeling to beg farewell also becomes undeniably stronger, reaching another pinnacle on "Edge of Tomorrow" and the overwhelming title piece (which features the evocative vocals of Miriam Stockley). 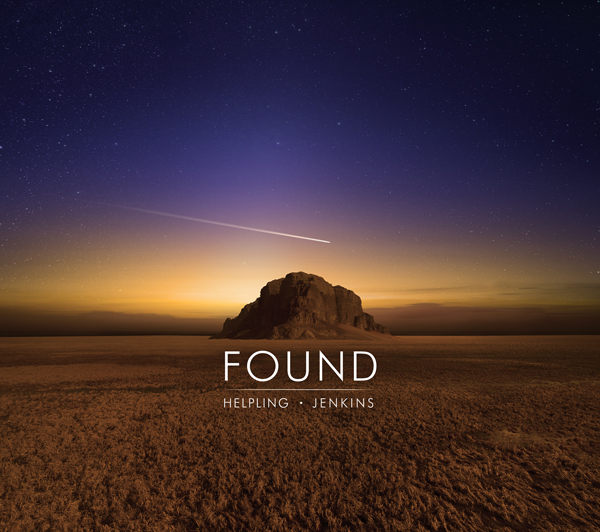 "Found" is an intense, outstanding and expertly crafted ambient-electronic recording making a perfect conclusion to the six-year chapter of the Helpling/Jenkins collaboration. Bravo guys for making this happen! 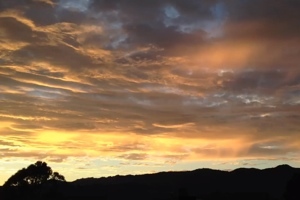 "a sound panorama which only the dreams can forge"
Do I evolve or either I'm quietening down? The question can be asked because the first times I heard The Crossing (2011/SPM-9073) I had remained a little bit tepid. When I heard “Found”, and this was after the lascivious Robert Schroeder's Slow Motion, I hooked on it instantly. I had found that beautiful but not so charming, as many reviewers had described it at that time. Thus, I aged or I quieten down? I ask because this last album of David Helping & Jon Jenkins is as much intense as poignant and also very melodious. And I adored this warm mood of melancholy. And yet, it's of the same harvest as The Crossing with rhythms skilfully fed by gorgeous percussions patterns and galloping riffs of guitar which explode of their dualities between more serene phases and bursts of harmonies as so smooth as the promptness of these rhythms which separate the shadows of the forms. And the ambiences! Molded in lines of synth and the tears of guitars with spectral depths and into great iridescent arabesques, they float such as winds of harmonies in a sound universe as rich than unpredictable. And we hear them with the nebulous synth lines which blow the intro of "The Opening" and which slowly takes us towards a smooth slow rhythm. These synth lines which float like half-abstracted and half-musical breezes are the soul of “Found”. 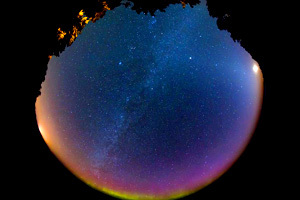 They float with their contradictions in a musical universe where the ear connects in the eye in order to weave the unreal images of a sound panorama which only the dreams can forge. They weave ambiences sometimes sibylline and sometimes oniric throughout an album where the guitar chords sing suspended airs which roll their harmonies in loops. We are slowly let ourselves rock by the slow rhythm of "The Opening". Not really a down-tempo, nor really a rock, the rhythm is lascivious and flows with fine jolts through the notes of a dreamy guitar. At once, we spot the musical signature of David Helping and his very pronounced influences for the poetic universe of Patrick O'Hearn. "Sun Racer" is a more livened up piece of music. The rhythm adopts a sort of Arabian clanic approach on a structure where the percussions thunder as much as they cement its indecisions inside a rhythmic pattern in constant reflection between its brief quiet phases, its dreamy melodies and its long ride of jolts drummed by an impressive pattern of percussions. The moments of calm, as the harmonious passages, are followed by a rhythmic and harmonic intensity which reaches its peak little after the 4th minute. It's at same time cadenced and oniric, like the heavy and tribal "Lost" and its guitar solos which caress the ghosts of melodies forgotten in a dense sound cloud. "Through and Through" is my first very favorite on “Found”. Its intro offers a musical book of delicate notes of guitar which hang around as they daydream with the fragile notes of piano. The ambiences are of dreams. And quietly "Through and Through" assembles its elements of rhythms scattered through some fine melodies which ring in the resonances of percussions and of their echoes of felted wood. The ambiences become more intense and the music more poignant, while the percussions beat a lascivious heaviness which refuses its constantly in quiet veils of ether. This is a great track which explodes of a dramatic final where the guitar draws its solos in the shadow of a melody eaten away by melancholy. "Almost Never" brings us towards the somber ambient side of “Found” with a slow meditative structure where are dragging notes of guitar which roll its wandering in the shape of looping harmonies in a thick veil of sibylline breezes. This veil is a meshing of synth lines and fine tears of guitars whose the symbiosis is forging some somber sonic clouds with arabesques painted in dark and in translucent tints. A pattern which is the source of "Only Ashes", "Through Tears" and the title-track which are beautiful jewels of very meditative ambient music where the ghosts of melodies float through a guitar as so discreet than a much contemplative piano, in particular in the very beautiful "Only Ashes", a track which redefined the borders of dark ambient music by being so melodious, and "Found" which is a bit more attractive with the beautiful voice of Miriam Stockley. "Edge of Tomorrow" is another superb melody which reminds me vaguely the occult structures of Patrick O'Hearn on El Dorado. It's as much beautiful and striking as "Through and Through". Just like "For the Ages" which ends “Found” with a hard-hitting final that capsize the soul so much it's striking. The color and the forms of music take root in an imagination sewn of golden thread. It's exactly what “Found” is made of. David Helping & Jon Jenkins draw some musical panoramas which melt in our most fictionalized dreams where the feelings are fed by structures which draw their sweetnesses from the abandonment of their impromptu rhythms. Like brooks of meditative melodies which cry in the shadows of a pensive piano and in the harmonies of a guitar of which the solos and lamentations liquefy within the soft textures of synths to the sibylline breezes, “Found” pours all its sonic horizons under the thunders of its percussions in order to feed well our always gaping ears. In fact, I aged or I quieten down? Maybe I passed too quickly over The Crossing. "balances symphonic rock power with classic electronic ambiance"
Found is the third and final installment of the trilogy collaboration between Spotted Peccary mainstays David Helpling and Jon Jenkins that began with 2007’s Treasure, and continued with The Crossing in 2010. All three maintain a similar style and production quality, while introducing new melodic themes and ideas. Using piano, synthesizers, guitar, and percussion, the sound comes across much like a soundtrack to an epic film production, in general encompassing a lush cinematic grandeur that is as much a product of the composition and playing as it is studio ambiance, textural effects and the trademark ‘Spotted Peccary’ production techniques. Close your eyes and let your imagination wander wherever the music takes you. The ten compositions range from slightly bombastic power moves to shimmering layers of introspective color and delicate sonic panoramas, treading a path that balances symphonic rock power with classic electronic ambiance, yet truly it is neither, existing completely within its own world. Most of these ten tracks are completely instrumental, the exception being the title cut where Miriam Stockley provides some emotional and beautiful wordless vocals, making it one of the disc’s immediate standout cuts. Hints of vocals exist on “Lost” and some of the other cuts as well, but apparently these moments are just the result of studio processing of the other instruments. The album’s longest cut, “Only Ashes,” breaks the thirteen minute mark, offering a glimpse into a more floating ambient textural world with compelling melodic fragments just under the surface that hints of artists like Erik Wøllo or the earlier work of David Parsons. All taken, this is the fluid of imagination that gently draws a listener in. "an ambient music with almost Wagnerian proportions that leads to majestic heights and infinite distances"
Auf der Suche nach dem heiligen Gral der Ambientklänge sind die beiden Nordamerikaner David Helpling (Gitarren und Synthesizer) und Jon Jenkins (Piano, Synthesizer) endlich fündig geworden. „Found“ besiegelt den letzten Teil ihrer Album-Trilogie. Entstanden ist eine Ambientmusic mit nahezu wagnerischen Ausmaßen, die in majestätische Höhen und unendliche Weiten führt. Warm und melodisch, kraftvoll und atmosphärisch, mit donnernden Drums und schimmernden Gitarren. Fantastische Klanglandschaften transferieren den geneigten Hörer in entlegene Orte unserer Erde. Wer ein Faible für das Außergewöhnliche hat, spacige, relaxte Töne mag und großen Wert auf Melodie und Harmonie legt, dem sei dieses Album wärmstens empfohlen. Ganz großes, ruhiges Kino. "it’s as grand as any fantasy epic"
The next time you watch an episode of HBO’s Game of Thrones, mute the TV sound and dial up David Helpling and Jon Jenkins’ Found . You won’t need Ned Stark’s honor, Daenerys Stormborn’s dragon’s roars or Ramin Djawadi’s serviceable score to take you on a cinematic trip that will bring you from Westeros to beyond the Wall. Found is the third part of a trilogy, and it’s as grand as any fantasy epic. Following Treasure and The Crossing, both previous CD of the Month picks, Found marks the end of a six year odyssey for the two veteran musicians, both of whom made their mark as solo artists first. Helpling is primarily a guitarist and Jenkins a synthesist, but their worlds merge in their 21st century electronic orchestra. Yet, as modern as they sound, the shadows of Patrick O’Hearn’s 1980s recordings are in every corner of this music. You can hear it right away on “The Opening.” A surging rhythm, a snaky underlying bass line and a sparse melody made up of layered synthesizers are all hallmarks of Patrick O’Hearn from his influential recordings on Private Music. David Helpling and Jon Jenkins create a welcome extension of that sound. David Helpling & Jon Jenkins in Helpling’s SoCal studio for Echoes. David Helping’s electric guitar is a defining voice for the duo. He doesn’t take any flashy solos. Instead, he etches ringing arpeggios and morphing textures. Even when he whips out some screaming sustained clarion calls on the grand climax of “Lost,” it’s mixed in the distance. Unlike on their previous albums, Helping and Jenkins head into deep space on one track, the 13-minute “Only Ashes.” Beat and percussion free, it moves on a slow dirge of space organ pads and long, Robert Fripp-like guitar sustains before slowly breaking orbit and rising into diaphanous space. If things weren’t ominous enough, the title track floats on a spare sequencer pattern that is pounded by thunderstruck piano chords signaling imminent demise, reinforced by the angelic, though possibly avenging, voice of Miriam Stockley of Adiemus and AOMusic fame. Helpling and Jenkins stack her wordless cries in a wash of deep reverb that turns her pure soprano into a wraithlike choir that’s almost not recognizable as voice, sounding more like a complex synthesizer patch. David Helpling and Jon Jenkins’ Found brings an orchestral approach to electronic music, where the orchestra is completely plugged-in, the timbres otherworldly, and the percussion tracks swept in on storms. It’s a great CD of the Month to end 2013. Completing the trilogy that began with 2007's The Treasure, respected new age duo David Helpling and Jon Jenkins return with the deeply resonant album Found. Similar in scope and tone to both The Treasure and its predecessor, 2010's The Crossing, Found presents a lush sonic landscape that ranges from gently ambient to resoundingly intense. Spaced-out synth pads create a dense backdrop for the duo's slowly building pieces where gentle percussion soon develops into low, sonorous drums behind towering guitar leads. There is a languid feeling of tranquility throughout the entire album, but rock elements are certainly present in the duo's production, adding a welcome sense of excitement that, at times, borders on the cinematic. Both artists have claimed Pink Floyd as an influence and it can easily be heard in tracks like "Lost" and "Edge of Tomorrow," which echo moments of the band's 1987 album A Momentary Lapse of Reason. 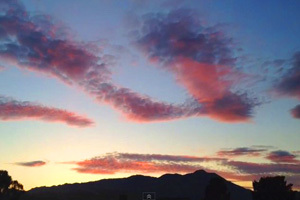 The slow, dream-like title track features a lovely wordless vocal section by South African singer Miriam Stockley, but otherwise, the album is entirely instrumental. Building on the fine work of two prior releases, Found is an engaging effort from a pair of well-seasoned musicians who know how to create a sense of drama.